I'm currently trying to make modifications to a router firmware: Swisscom Centro Grande - aka Pirelli Vx226N1, firmware version: 60200. 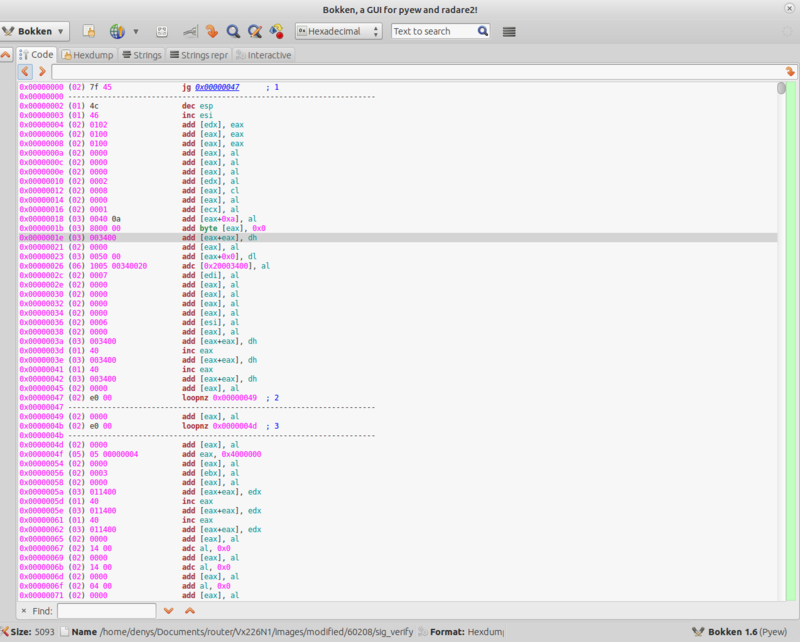 I've decompiled it successfully with FMK v0.99 and got the header.img, the rootfs.img and the footer.img image parts. I decompiled the rootfs.img with unsquashfs succesfully and got the system folders. I made some changes (enabled a shell on telnet) and tried to repack everything with the tools provided (the ./build-firmware.sh command). The final firmware size was bigger than the original one. Tried to falsh, nothing happened. I analyzed the firmware and especially the upgrade method to learn how to properly build the firmware. I uploaded all files on a Mega folder so the interesed guys who wanna help me could access any file needed. I included in the folder 60208 the two scripts I used to check the files. And here is the binwalk of sig_verify file. As you can notice it's a MIPS executable. I tried to run it under a MIPS envirronment (virtual machine, qemu-system-mips) without any success. Decompiled... Anyone that could translate machine language into human-comprehensible code? Interestingly, both the online disassembler and retargetable decompiler choke on your sig_verify program, and objdump says it has a corrupted section header, while Ida can read it without any problems. From a quick glance, there's only 3 interesting functions in it, that i called main, generate_hash and verify_key. Both generate_hash and verify_key use various functions of the gcrypt library (which it links dynamically). main opens a file from argv, uses generate_hash to calculate a checksum over the file, then calls verify_key. verify_key uses, among some other stuff, gcry_pk_verify, which verifies a public key. If verify_key succeeds, main truncates the last few bytes from the file (which, i assume, contain the key to verify against). It seems to me that the vendor uses some private key to sign the firmware file, and has the flash process check the file against the corresponding public key, which would make it very hard to create a valid replacement firmware. HOWEVER, i only looked at the function names and strings and didn't try to understand every byte of the functions, so i might be wrong. I don't know if my IDA license allows me to make the disassembly public, but i'll check this and, if you're interested and it's ok with the license, upload the disassembly somewhere so you can investigate further. Not the answer you're looking for? Browse other questions tagged binary-analysis firmware mips or ask your own question.